Tiger Woods was two off the lead when he stepped onto the 17th tee yesterday at the TPC Sawgrass Stadium course, he then put two into the drink and doubled. Today was a completely different story on so many levels. Way back when Tiger was dominating the tour, he was so jacked and so focused, he wouldn’t smile…like ever. Woods would be 100% no nonsense and was the most fierce competitor anyone has ever encountered, you could argue in all of sports. Today, Kevin Na helped show the world, Tiger Woods is a changed man. McSween has a pulse on the Toronto Maple Leafs and his blue blood writing style will open up your eyes to a new side of Maple Leafs hockey. 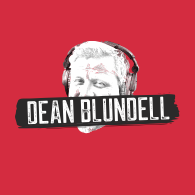 McSween leads the way here at DeanBlundell.com, so be prepared to see pieces on the Blue Jays, Raptors, PGA, MLB, In The Feels, and anything else that catches his eye. - Be yourself, everyone else is taken. SMELL YA, HATERS. TIGER WOODS HAS WON #TheMasters !!!!!!!!!!! !